Although I’ve recently started an effort to read Agatha Christie in order, I’ve always intended to cheat on my diet. It isn’t so much that I’m determined on reading Christie completely sequentially, but rather that I’m curious to read the first decade of her work in that way. My reasoning is her first ten or so books don’t quite enjoy the same reputation as her 1930s-40s period (with the obvious exception of The Murder of Roger Ackroyd), and so if I’m going to tackle them, it might as well be with the added appreciation of where the author was in her career. Sad Cypress has been a title that I’ve been eying for a while, and so it seemed like a good candidate as a diversion from my chronological affair. I was lucky to track down a Dell map back edition for about a dollar a few months ago, and as you can appreciate, it’s pure torture to leave a map back sitting on the To Be Read pile. It’s worth noting that there is actually another Dell edition with a very different cover and a different map on the back. I would have preferred that other edition because I love the cover, but hey, you can’t argue with a one dollar map back! This is my second novel by the author collective most commonly known as Patrick Quentin. My previous read (Death’s Old Sweet Song) was the GAD equivalent of a mindless 70s slasher flick – enjoyable for what it is, but a bit shallow throughout. I’m intrigued by Quentin nonetheless. There’s a respectably large library of books for me to track down and I can’t help but search for that elusive “next great author”. Death and the Maiden caught my attention as one of the more consistently recommended works by Quentin. It’s a bit tricky to track down the author’s library for cheap, but I somehow managed to get my hands on this 1944 hard cover edition for a steal. The Dead Man’s Knock marks a return of John Dickson Carr’s series detective Dr Gideon Fell following a nine year hiatus. Carr had published Fell novels on at least a yearly basis throughout the 1930’s, and almost as reliably in the 1940s, aside from a smattering of gaps. Below Suspicion (1949) marked an end to the detective’s run, as the author took a detour into historical mysteries starting in 1950 with The Bride of Newgate. It’s interesting to note that although Dr Fell had been abandoned, Carr’s other contemporary series detective, Sir Henry Merrivale, would still feature into a smattering of books up until The Cavalier’s Cup in 1953. At that point, Carr was pretty much focused exclusively on the historical mystery genre. While locked rooms and other impossibilities would make fleeting appearances in each book, the stories were more plot driven swashbuckling adventures soaked in historical trivia – not something that appeals to me on paper, but with Carr at the helm they hit the spot. 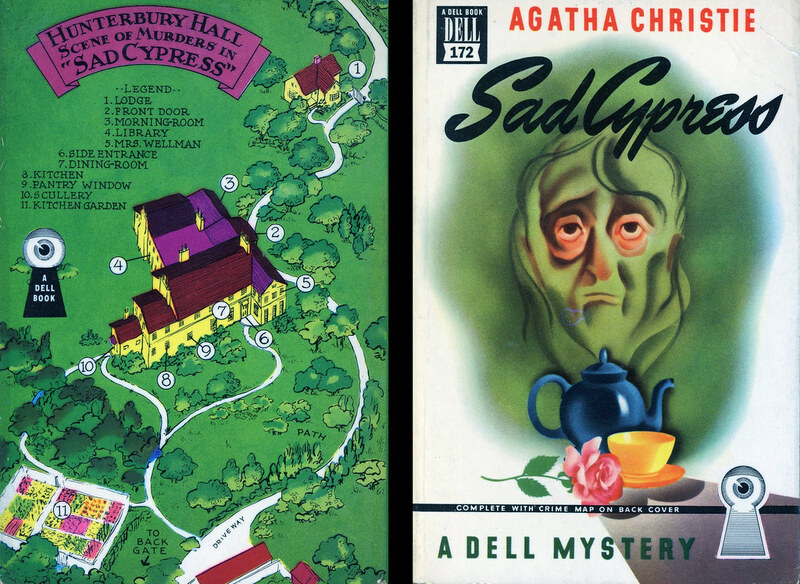 Interestingly enough, only one contemporary mystery was published between 1952 and 1958. Patrick Butler for the Defense (1956) was a spiritual sequel to Below Suspicion, but didn’t actually feature Dr Fell. Wow. Just wow. If I were to claim that The Rose in Darkness has Christianna Brand’s best ending, I’d probably be wrong. Hell, I’d probably find myself combatting an alternate version of myself. Between the “I’m going to lie in bed for two weeks crying” conclusion of Green for Danger, the shocking final sentence reveal amidst the blitzkrieg that is Suddenly at His Residence, the slow sickening realization of Fog of Doubt, the jaw on the floor finale of Tour de Force, or even the rat-tat-tat neck-twisting ending of Cat and Mouse, Christianna Brand has paved a trail of stomach punch endings. In that respect alone, she may be amongst the best of the golden age. Still, excuse the enthusiasm of my still shell shocked mind as I rave with fan boy enthusiasm that The Rose in Darkness features one of Brand’s most powerful endings. Of course, I’m not going to tell you any actual details about the ending, other than it was like watching a slow cascade of dominos without actually grasping how the remaining ones would fall. Oh, and it’s one of those emotional ones that will stick with you – but again, most of Brand’s do. My first encounter with Helen McCloy was through the highly touted Through a Glass, Darkly. The story may be most well known for making position #12 in Ed Hoch’s 1981 collaborative list of top impossible crime novels. I personally didn’t see what justified that ranking, as I can think of 12 novels by John Dickson Carr alone that I’d rank ahead of it. I’ll concede that if you’re looking to create a list diverse in both author and types of impossibility, the novel is worth noting. For my second McCloy, I decided to jump to another of her better regarded novels – Cue for Murder. I spent a long time holding out for the Dell map back edition of this book, but finally succumbed to a well priced 1965 copy by Bantam Books.